CALGARY, AB – Six breweries located in a section of south east Calgary that they’ve dubbed the Barley Belt have announced the release of their first collaborative beer. 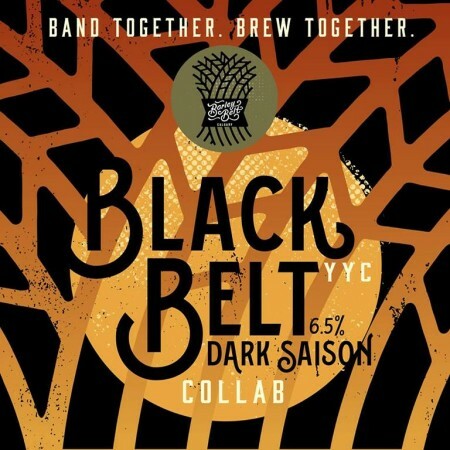 Black Belt Dark Saison (6.5% abv) was brewed with contributions from Annex Ale Project, Banded Peak Brewing, Born Colorado Brewing, Legend 7 Brewing, Paddy’s BBQ & Brewery, and Village Brewery, and debuted earlier this month with a launch event at Legend 7. Black Belt will be available on tap at all six participating breweries, and $1 from each pint sold will go towards improved infrastructure in the Manchester and Highfield neighborhoods, including bike racks, signage, and other improvements.